The Defence Infrastructure Organisation (DIO) has published details of the four bidders shortlisted for a new national contract to manage its UK training estate. The contract is being developed and procured under the DIO’s Next Generation Estate Contracts (NGEC) programme. The National Training Estate Prime contract is worth up to £950m, covers approximately 200,000 hectares, and will provide services ranging from managing air weapons ranges to providing laundry services or clearing snow and ice. Key sites will include Salisbury Plain, Catterick, Dartmoor, Sennybridge and Otterburn. The MOD has also created an option for elements of the Reserve Forces’ and Cadets’ Associations estate to be included in the contract scope. 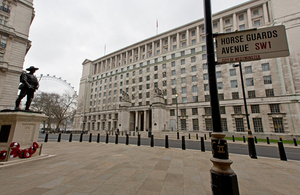 Supporting our Armed Forces is the top priority for the Defence Infrastructure Organisation. Military training is vital to the success of operations, which is why we need to provide excellent training facilities that enable our troops to learn and develop the skills that are essential if they are to meet their operational commitments at the highest professional standard. A sound partnership with industry will be the key to supporting the training requirements of Defence. Industry will play a major role in running and maintaining the training estate, so it is vital that we identify the best possible private sector partner for this significant commercial arrangement. This contract covers a significant expanse of the Defence Estate, including a wide variety of built assets, types of terrain and service outputs, requiring a first-rate prime contractor that is ready to deliver innovation and value for money. I am pleased that after a thorough evaluation of evidence submitted by the bidders we have achieved a strong shortlist of contenders. I would now urge smaller businesses to consider where and how they might contribute within supply chains, and to start liaising directly with the bidders. heritage - development and implementation of long-term maintenance plans for Defence sites and assets of cultural and historical significance, and provision of archaeological services. Representatives from the four bidding organisations will now be escorted on visits to provide familiarisation with the training estate and training activities before and during the ‘competitive dialogue’ process that will commence by mid-2012.